This exclusive men's Rotary two tone Windsor multifunction model features a dual finish dial with guilloche in on the inner. This model showcases 4 sub-dials for additional readouts: Day, Date, Month and Moonphase. 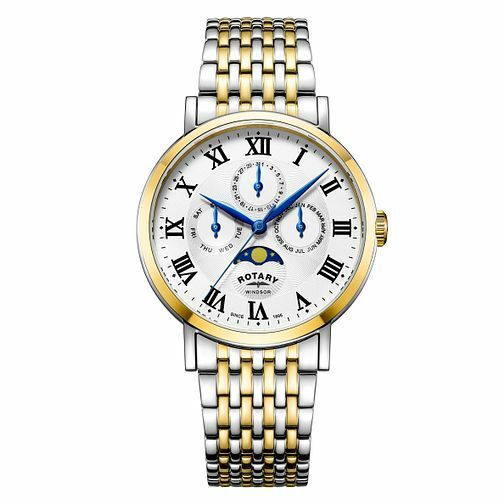 Rotary offers high quality, affordable watches in a fantastic range of styles from the contemporary to the classic.